ca. 3 photographs : col.
Fonds is arranged in subject files. Alan Eric Knight (1953-) is an Anglican priest and historian. He holds an MA in history, a Masters of Divinity, and as served as a Chaplin in the Canadian Armed Forces. He has researched and written extensively on the history of the Anglican Diocese of Algoma. He served in the Diocese of Algoma as Rector of Almaguin Parish (1992-), Rector of Christ Church, Englehart and St. Faith's, Charlton (1989-1992), Priest-in-charge at St. Stephen's, Thunder Bay (1988-1989) and as Assistant Curate at St. Micheal's and All Angels, Thunder Bay (1986-1989). 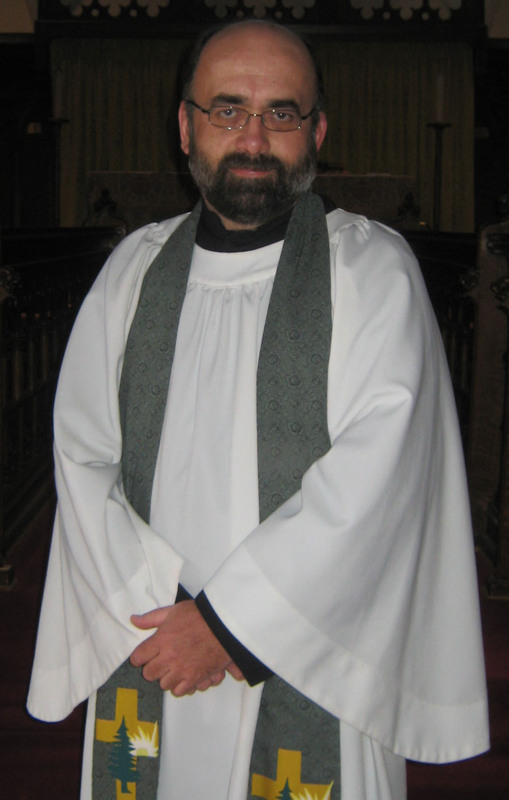 He is currently the rector at Holy Trinity Anglican Church (Chatham, Ont.). Fonds comprises records documenting the activities of the Reverend Alan Knight. Includes historical research files on the communities in the Almaguin Parish, the Reverend George Gander, as well as photographs of the churches in Almaguin Parish. Also includes Deanery of Muskoka meetings, agenda, property committee information, and other historical data. The records in accession 2009-220 were transferred from the Laurentian University archives to Algoma University in May 2009. The records in accession 2010-152 were transferred by Marthe Brown, Laurentian University Archivist to Algoma University in 2010. May be restrictions on access based on the terms of the Deposit Agreement, the Diocese's Policy on Privacy and Archives. Subject to all applicable privacy legislation. May be restrictions on use based on the terms of the Deposit Agreement, the Diocese's Policy on Privacy and Archives. Subject to all applicable privacy legislation. Minor conservation performed on fonds. All material is in English.